A kitchen should have a variety of lighting choices. 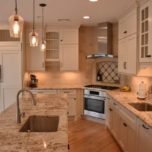 Task lighting should be implemented under the cabinets, over the sink and all prep and cooking areas. 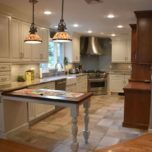 The breakfast nook should have a lamp with a softer light, and recessed lighting may be used to illuminate the entire kitchen when there is a lot of activity. This may be a high-traffic area that has multiple uses. Layered lighting is a necessity. Use recessed lighting with dimmers or track lighting to add volume when needed and table lamps for a softer feel when reading or watching television. Each space within this area has a different lighting need. Natural light valances on either side of the vanity will give you direct light without shadows. 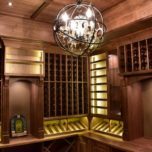 Task lights along the cabinetry, near or in the shower and along the floor can help create a spa-like presence and avoid harsh overhead lighting, especially at night. Overhead lighting with dimmers can be used to provide a wider arc of light when needed. 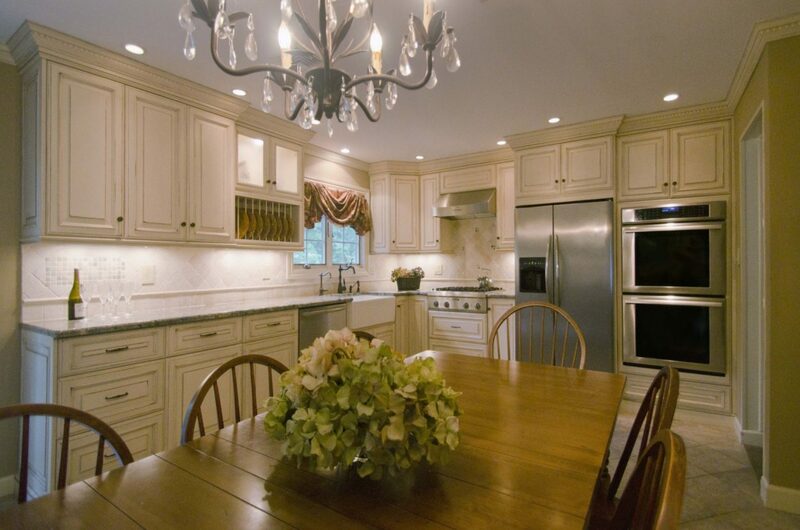 Lighting is always a major consideration in a great remodeling design. Trade Mark Design & Build are the experts for New Jersey homes to help choose the right lighting for your interior décor! 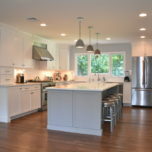 When remodeling your kitchen, it’s best to make a list and decide how your space will be used. Are you an avid cook or baker? 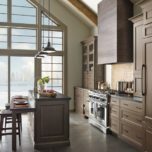 Do you have a high volume of traffic, or is your kitchen used for a nice aesthetic? You can have a stylish kitchen while incorporating a countertop that includes durability and maintenance. Assessing your environment and its role is key. Black granite and quartz are very popular, but functionality should take precedence over looks. 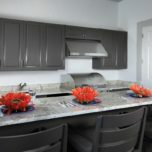 Natural stone countertops such as soapstone, limestone and marble are soft materials and very high maintenance. Wood and laminate are good options, but are easily scratched. Heat can also scorch laminate very quickly. For the avid cook or baker, engineered stone is a great option and comes in a variety of colors. 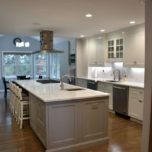 These countertops are very durable and easy to maintain. 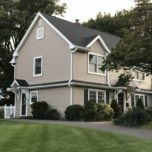 Concrete is a popular choice and comes in a variety of finishes like ground, pressed and trowel. Pigmented colors can be used to achieve the look you desire. 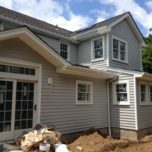 Although a viable option, concrete can be very high maintenance. Changes in temperature may cause it to warp and wet spots left on the countertop can promote discoloration. These should be waxed every couple of months and sealed up to four times a year. These are all great alternatives for finding a counter-top that will work for you. Trade Mark Design and Build can help you find the best option for you. Contact us today to take advantage of our free initial consultation.